NS, CSX and their predecessor railroads were informed of the dangers of asbestos and diesel fume exhaust years ago. The information came in part from the American Association of Railroads, the medical directors of the railroads, and the medical research that was available. Instead of taking action to protect its workers, the railroads followed a work as usual attitude for years. A similar action to what Ford Motor Co. did when notified of the dangers of the dangerous gas tank position on the Ford Pinto cars. It was cheaper to ignore the medical findings about asbestos and diesel fumes than to try and protect the railroad workers. This attitude finally caught up with NS & CSX when thousands of workers became ill from exposure to asbestos and diesel fumes. The range of illnesses ranged from COPD to mesothelioma (a death sentence for most). Other illnesses linked to asbestos and diesel fumes are lung cancer and leukemia. Often the railroad will not own up to the damage they have caused workers. Many of the cancers take years to show up in the railroad workers. Often, these terrible diseases do not show until after the railroad worker has retired. The NS and CSX often use the “smokers” defense. They try and blame all problems on smoking cigarettes. It is true that cigarette smoking is a contributing cause of many of the cancers. However, the exposure to asbestos and diesel fuel has also been found to be a substantial contributing factor to the cancers. Under the FELA law that covers railroad workers, the worker can still recover monetary damages. 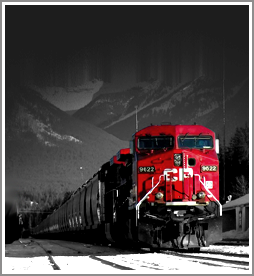 The information supplied above is to make active and retired railroad workers aware of their rights. This information is furnished by an ex-railroad worker of eleven (11) years who left the railroad after the same asbestos exposure and breathing of diesel fumes to which most railroad workers are exposed. The other information was gathered during a twenty-seven (27) year legal career representing injured railroad workers. If you have any questions about cancer or breathing problems related to the dangerous exposures on the railroad, please call Eddie Wilson or Francis Hajek for a free consultation.